This year, we have a story to tell. A story of the arts through the ages. Whether you have been actively engaged in the arts community or have never been part of an experience quite like this before, we have a story for you. SMU Arts Camp, organised by SMU Arts and Cultural Fraternity, is a 3-day annual summer camp to expose freshmen to the arts community in the school. 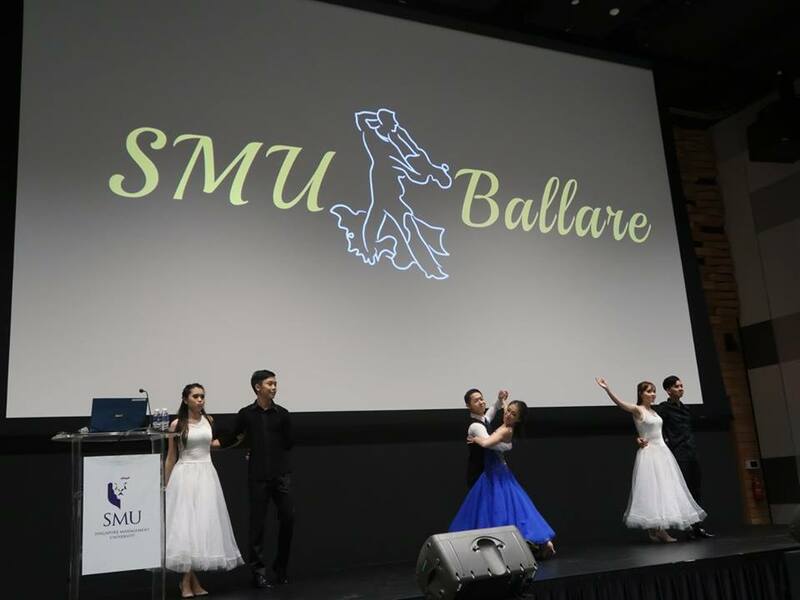 With as many as 23 clubs representing the arts and cultural scene of SMU, freshmen will be given exclusive insights to the various visual, vocal, cultural, instrumental, literary, production and dance art forms. From first-hand interactions in workshops, to numerous showcases curated by our very own practitioners of the art – this will be nothing short of a sensorial journey to remember. So be prepared to transport yourself into another dimension. The world of arts is about to unfold before your eyes. check out this year's valentine's day welfare drive here :-) see you guys in the next one soon!! Missed this welfare? Fret not! Do keep a look out for the next ACF welfare drive in 2018! Remember to bring friends who are part of ACF down as well!! On 12th February, ACF was invited to watch SMUKI's annual production GAYA 2017: KISAR! This musical production revolves around the transformation of Alex, a young (and handsome!) businessman as he meets a magical stranger who drags him into an unexpected journey to Indonesia’s past. The musical unfolds a forgotten story of Indonesia's past: a guerrilla battle in Cirebon that puts love and sacrifice to the test. 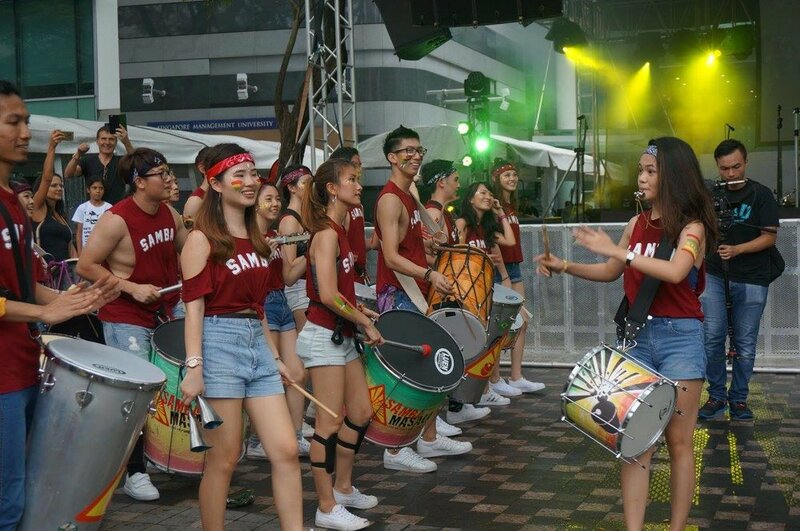 The SMU Open House was held on the 4th and 5th March this year, where our very own ACF clubs put up many wonderful performances for the public! 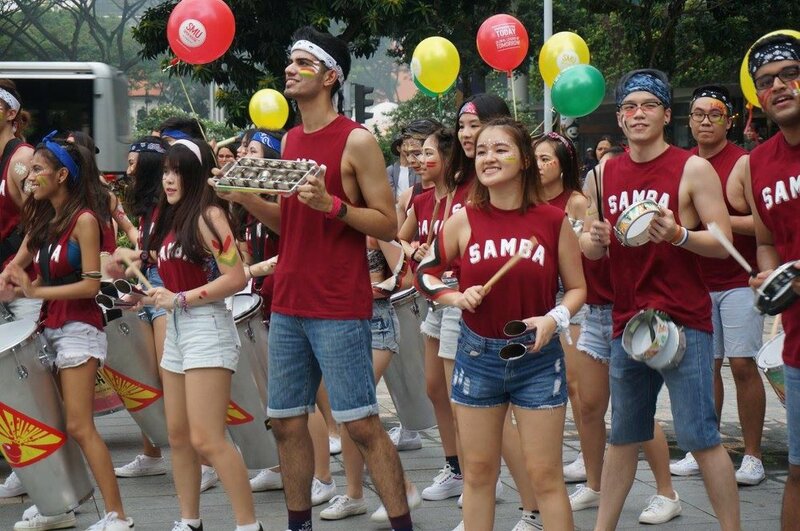 SMU Samba Masala also organised Viva O Samba, the biggest samba festival in Singapore. Thank you for your heart-thumping performances and for all your efforts!! Hope everyone enjoyed welfare!! 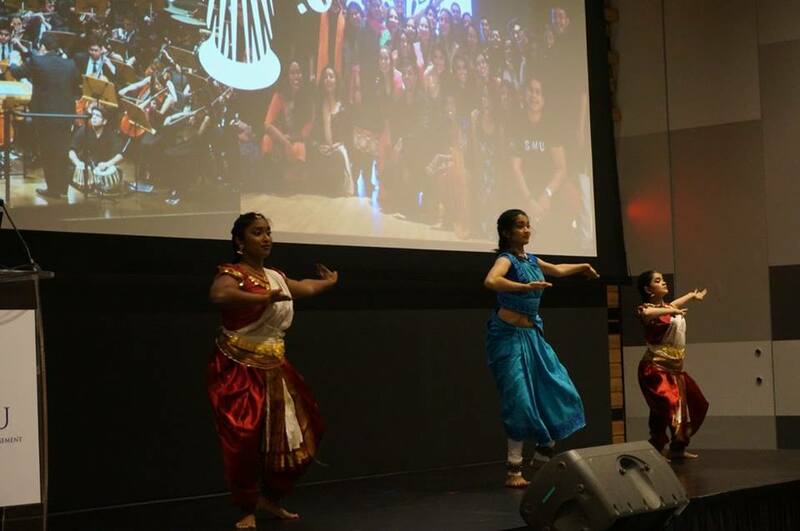 Here is a short video to sum the event up featuring our talented SMU Voix who agreed to perform during welfare :) Big thank you to them as well as everyone who came down to support! It has come to the time of the year where we give recognition to the ACF clubs for their efforts in growing the club’s name and presence in the Arts scene. This year’s theme, Relevé seeks to accentuate the potential of ACF clubs rising up to greater achievements! Hope you’ve had lots of fun at this glitz-and-glamour event, supporting each and every ACF club!